I just mounted my aluminum fuel tank to the floorpan of my kart. On initial installation the fuel tank was centered on the floor pan but was slightly offset to the steering pillars. Upon realizing that the tank was a touch off center left… I re-drilled holes to center the tank to the pillars in question. 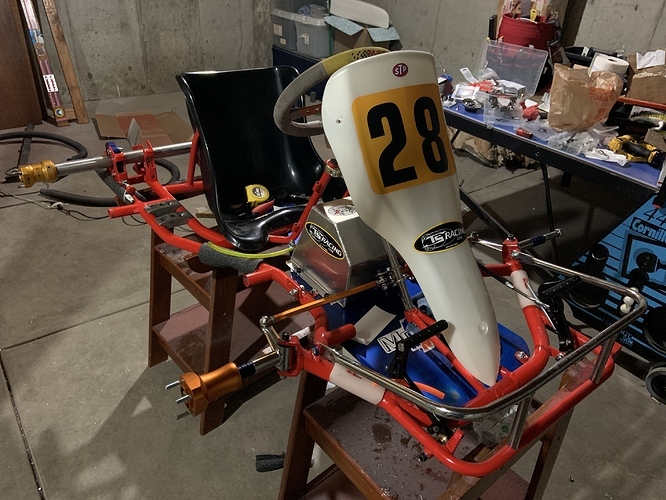 I understand that the kart will always have a slight weight bias to the brake side of the chassis given the mass of the engine on the right. Is there any advantage or disadvantage to the tanks mounting on the ‘true-center’ of the floor pan vs. the ‘center’ of the steering pillars other than aesthetics? Will the center of gravity move enough for me to notice a difference in balance? Obviously I have the option of mounting my fuel tank in both orientations. Can anybody advise? The tank is 6QT capacity.